In Bug Queen, there are fungus zombies and bug-ridden zombies … sort of zombies. In Demon’s Cradle and World Weaver, there are parasite-ridden zombies … sort of zombies. 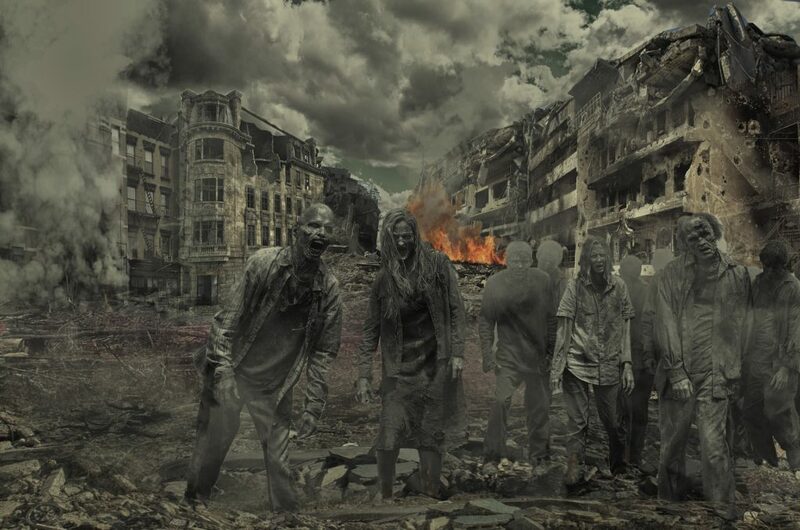 My latest novel, Impassable, is pure-d zombie action. Juliette is the main character. She’s married to a woman named Tami and they have two teenagers together: Jeremy and Molly. Things have been a bit tense between the couple, so Juliette is relieved she gets to fly from Seattle to Omaha for work. It’ll give her a break, or so she thinks. What the heck kind of text is that to send to someone, knowing they can’t text back or respond for hours? When Juliette lands in Omaha with her coworkers, she discovers things have gone to hell while she’s been up in the air. She sees sick people attack their friends or loved ones. Later, she sees dead people get up to dine on the flesh of the living. She has to fight her way out of Omaha, motivated by one thing: finding her family. The only problem? 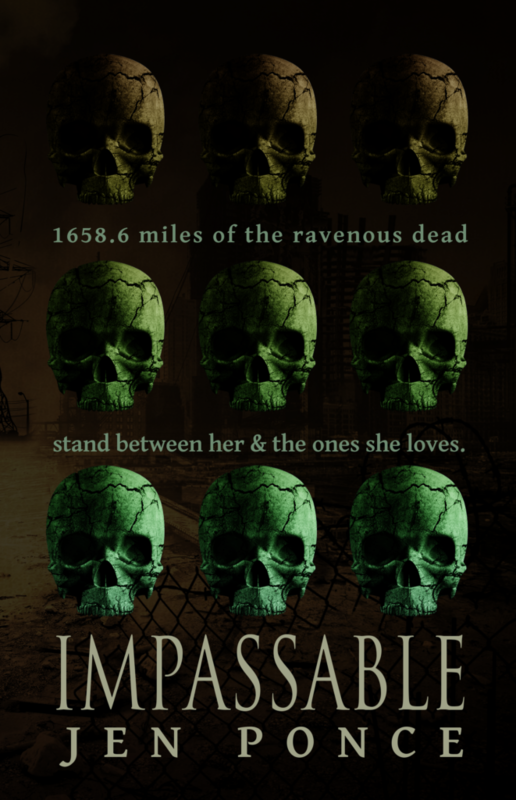 There’s 1658.6 miles of the hungry dead between her and the ones she loves. Will she make it? Will she survive? Will she find Tami and her kids alive? In other zombie news, my sister Lorri turned me onto a great zombie audiobook called Mordacious. You should check it out! They have a female narrator who reads the female parts and a male to do the male parts. And it’s good! Why You Do This, Princess Bride?